Our Avalon genuine four-band puzzle engagement ring with a princess-cut genuine blue diamond brings a touch of Renaissance romance to her hand. This puzzle ring, with an ultra-secure gemstone setting, is also extremely comfortable to wear, and unlike many engagement rings that hold a stone up off the ring, this one will not catch on clothing. 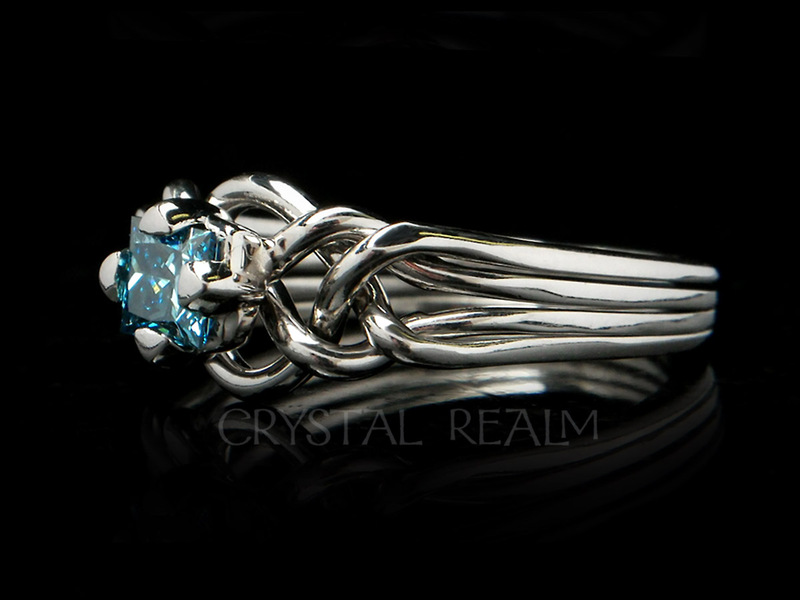 Your 4mm gemstone rises above the puzzle at a medium height, and the prongs are rounded for safety. If she works with her hands, is a teacher, nurse, athlete, outdoors-woman, or if she prefers a ring that is far from gaudy, the Avalon is a wonderful choice. 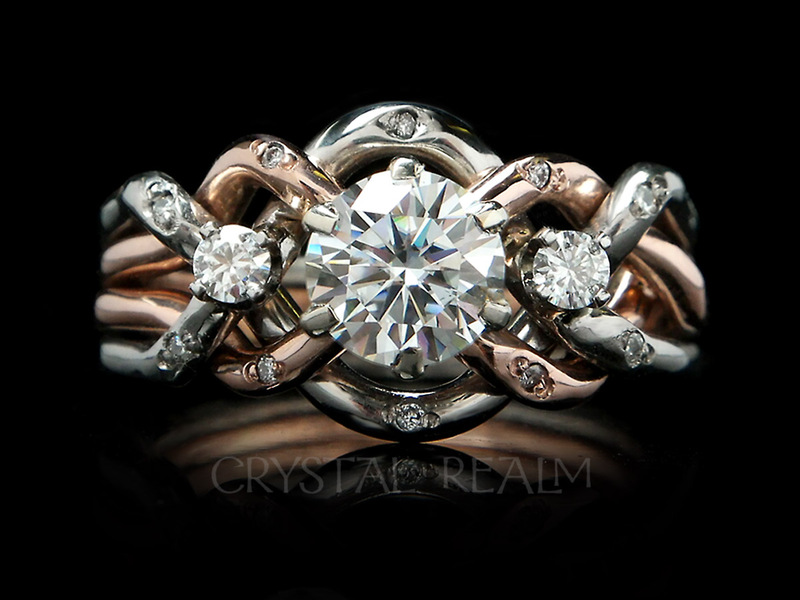 A true four-band puzzle ring, the Avalon ring comes apart and goes back together, with only a little practice using the animated, written, and video instructions provided under a link below. Treat her to a truly unique, artisan hand- woven, work of art on her finger and the fun of amazing her friends with her skill at assembly. Your options: The base price on this page is for this ring in palladium with a blue diamond of approximately 4/10ths carat or 0.40CT. You may also select from other precious metals. Available in whole, half, and quarter sizes 3 – 9.5; other sizes upon request..
You may also select your preferred puzzle weave. 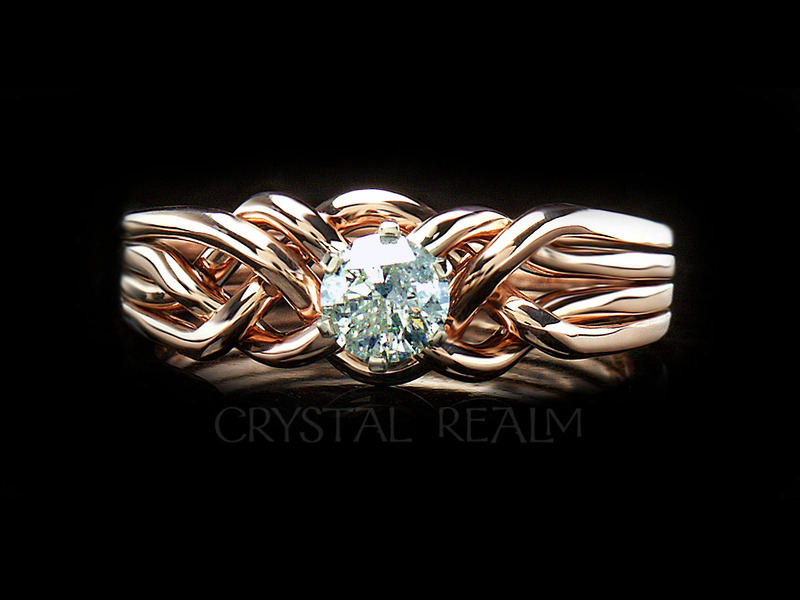 Shown is an open weave usually worn with an optional shadow wedding band; you may prefer a tight weave, favored for wearing with a wedding band of uniform width. 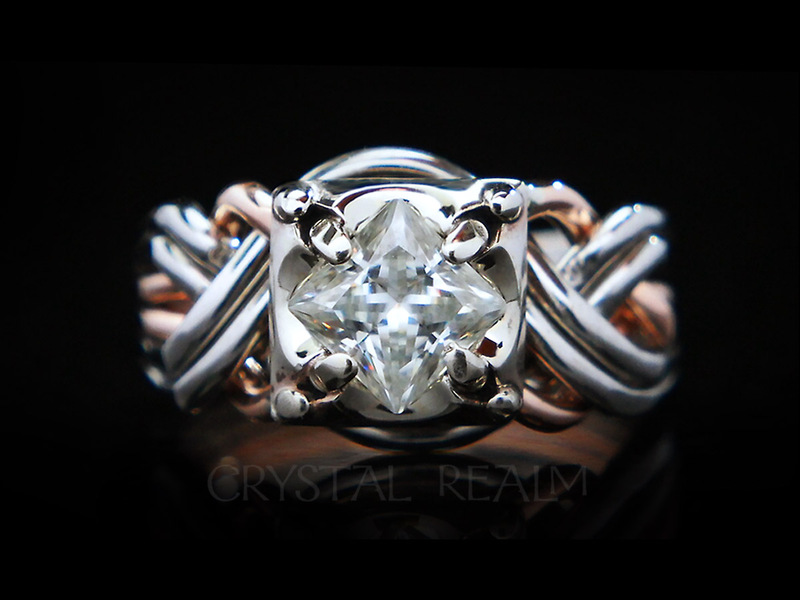 The Avalon puzzle engagement ring is artisan-crafted in the U.S. exclusively for Crystal Realm. 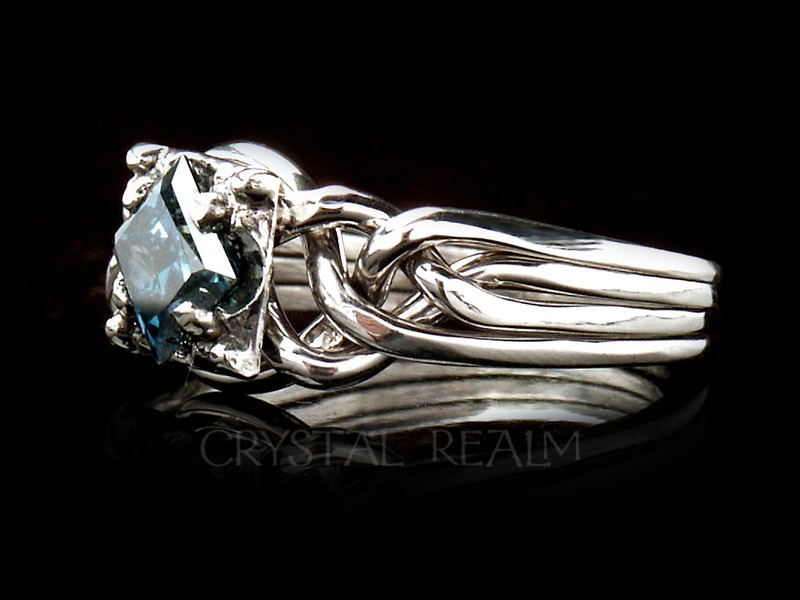 Our blue diamonds are white diamonds treated with heat to produce a brilliant blue color. 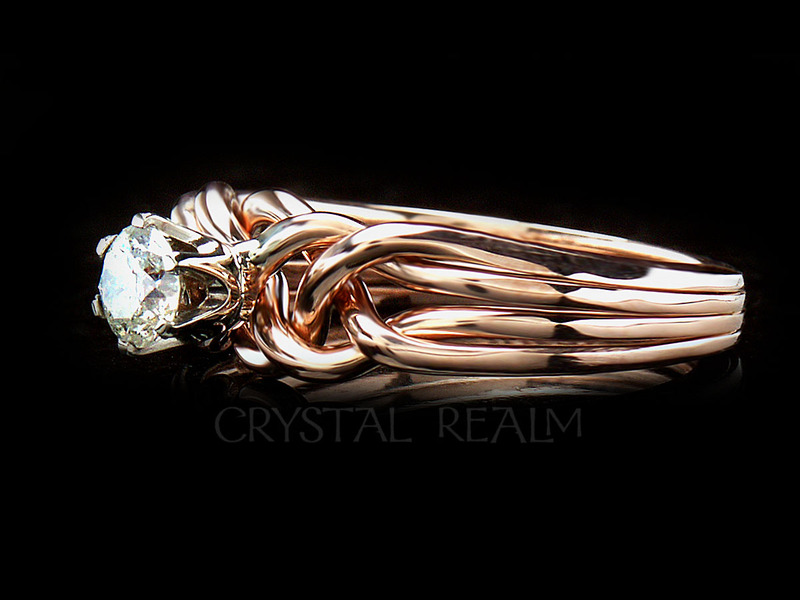 They have VS (high) clarity, are available in a variety of carat weights, and they are very beautiful. They are not certified, and they are not covered by our one free year of loss protection for white diamonds. 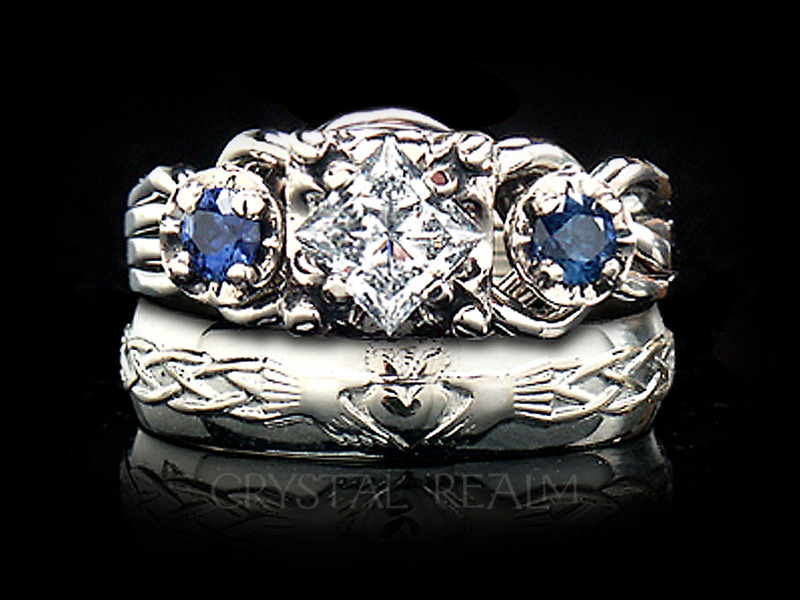 We recommend insuring your ring through your homeowner’s policy or Jewelers Mutual Insurance. 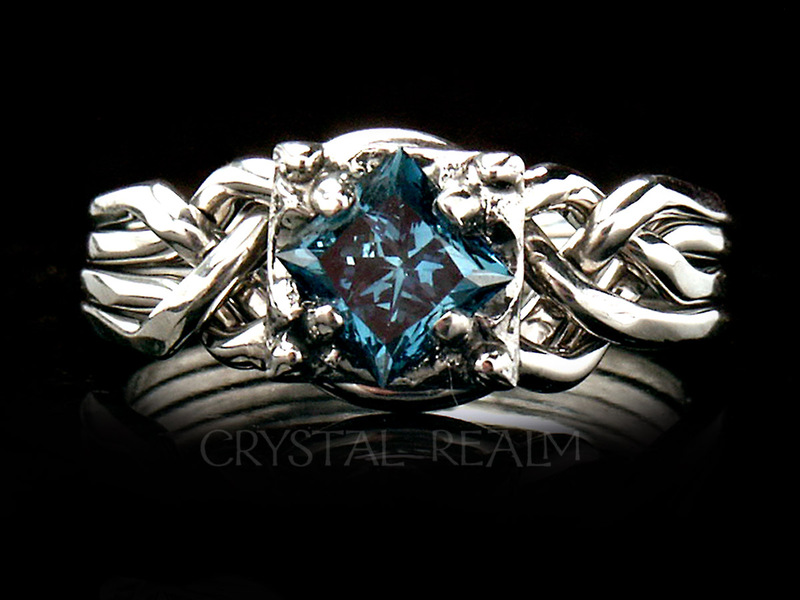 We regret that we are unable to offer untreated, natural blue diamonds, as we do not have a reputable source for them. 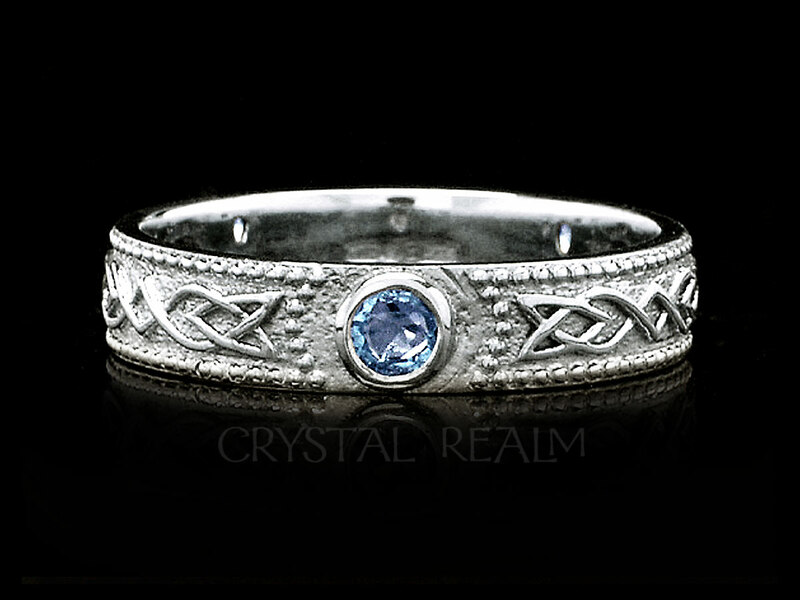 Blue diamonds, even the treated ones we carry, are challenging to find. When you order a blue diamond ring, we will search for your diamond and will communicate with you about how the search is going. 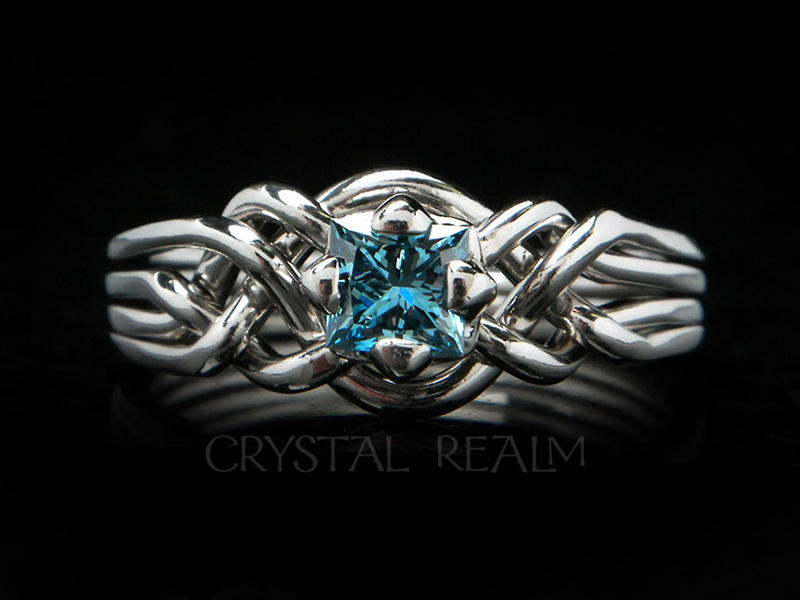 Please allow 6-8 weeks for the delivery of your blue diamond ring. When you order a blue diamond ring with a shadow band, we will need to pickup and retain the engagement ring after you propose with it, so that we can mate the shadow band to the engagement ring perfectly. 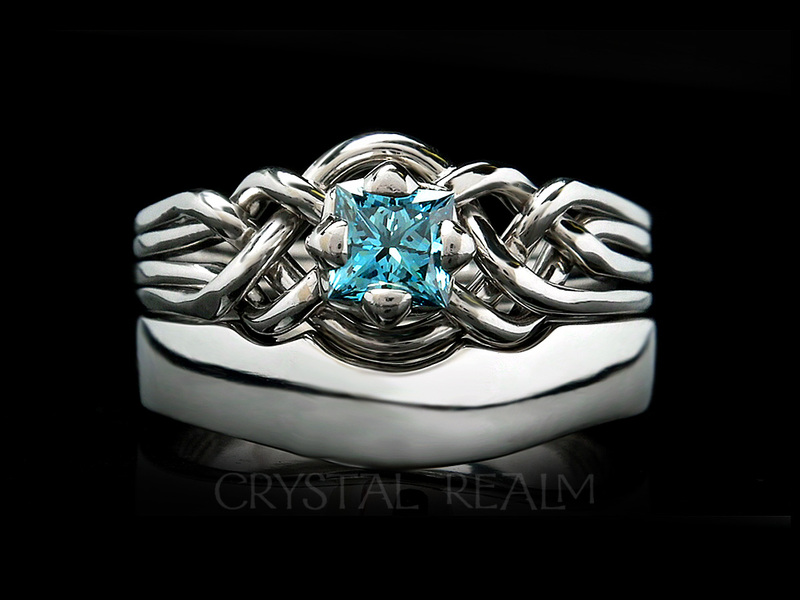 When you order a blue diamond engagement ring with another type of wedding band, the two rings may be delivered separately or together.